Late last year, Citroen unveiled the DS 5LS, a compact sedan specifically developed for the Chinese market. 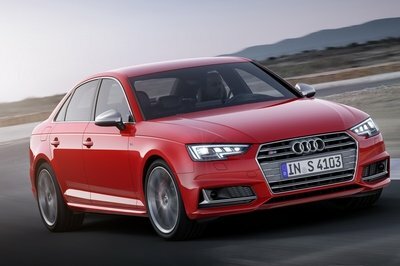 The four-door sports an attractive design, a high-quality interior and turbocharged 1.6-liter engines that deliver up to 200 horsepower. In short, the DS 5LS is among the coolest ten cars we can’t drive in the U.S.
And if that grinds your gears, then it’s time to find out that the French are planning to unveil an even hotter version of the sedan at the upcoming Beijing International Auto Show. It’s been christened DS 5LS R and packed with more power, a more luxurious interior, and wrapped in a sporty body that pays tribute to Citroen’s racing heritage. No need to blow a fuse yet, the DS 5LS R is only a concept car, at least until the manufacturer says otherwise. However, we do feel the need to stress the fact that Citroen absence from the U.S. market is getting increasingly frustrating as their most impressive offerings are taking the road to China. 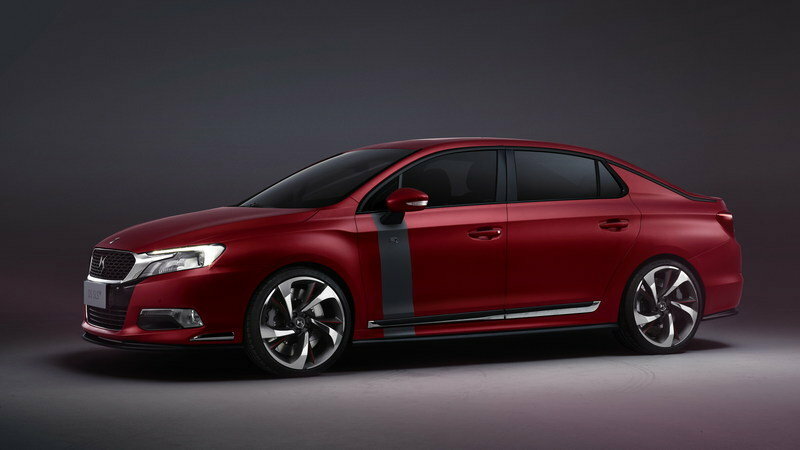 Click past the jump to read more about the Citroen DS 5LS R Concept. 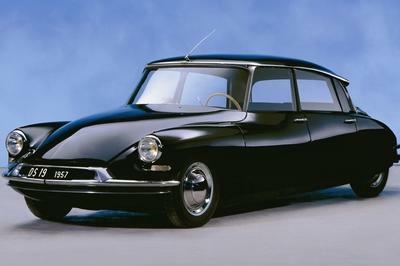 Citroen 2CV to make a come back at the Paris Auto Show? Mixing a four-door body with luxury and 300 horsepower sounds damn good. To be showcased starting April 20th, the DS 5LS R differs from the production sedan already available in China by its lowered suspension and unique exterior color, the latter enhanced by carbon-fiber inserts, flared fenders and aerodynamic-enhancing bits and pieces. The window surrounds are now black, as opposed to chrome on the DS 5LS, while the regular DS logos have been replaced by R badges. The anodized Carmine Red body, which is rounded off with a matte metallic finish for a premium result, is complemented by a carbon-like, matte black stripe that runs down each of the front doors. Citroen opted to dress the entire cabin in black leather and Alcantara, with only a few Carmine Red inserts and stitches to lighten up the mood. Carbon-fiber inlays can be seen on the door panels and door handles, as well as on the flat-bottomed, leather-wrapped steering wheel. Additionally, a new pair of sports seats wearing R logos have been created for this concept car. Now this is where it all gets spectacular. 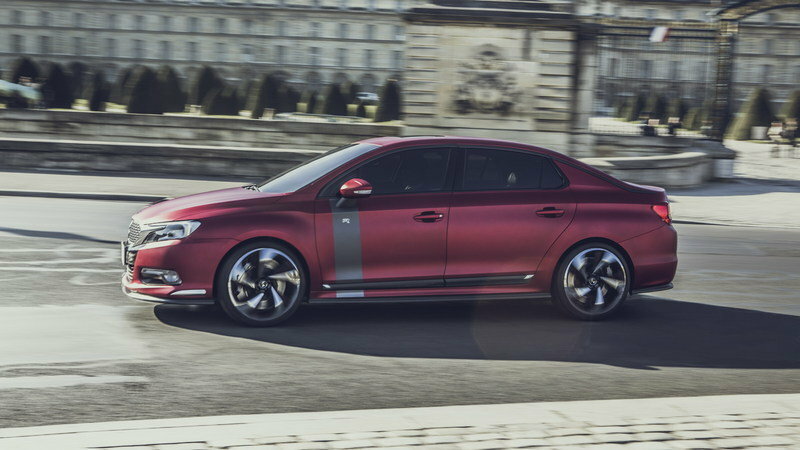 The DS 5LS R is powered by the same turbocharged, 1.6-liter mill fitted in the production car, but Citroen increased the output by no less than 50 percent. 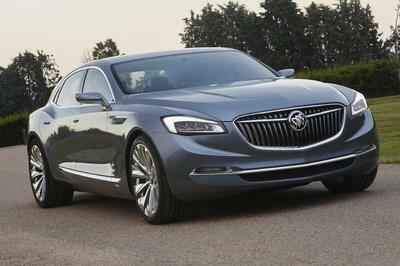 The sedan has 304 horsepower and 295 pound-feet of torque at its disposal, quite a lot given the available displacement. That’s about the same power as the DS3 WRC rally car, which means the French didn’t exaggerate by saying the concept car is "a nod to Citroen’s World Rally Championship pedigree". The horses are transferred to the wheels via a sequential gearbox operated by paddles placed behind the steering wheel. When Can I Drive One? Err... this is where the dream crumbles to pieces. Even if the DS 5LS R is green-lighted for production, you may not get to drive it unless you sign up for a test drive in China or pack your stuff and move altogether. Mixing a four-door body with luxury and 300 horsepower sounds damn good. You know, this concept car has more hp per liter than the 2014 Mercedes-Benz A45 AMG. However, we can’t consider the DS 5LS R more than just a concept car for the time being, and a China-exclusive production version won’t be enough for validation. A new DS concept car will be presented at the Beijing Motor Show later this month. DS 5LS R is an all-new and unique version of the DS 5LS, which combines top-level performance with luxury styling. 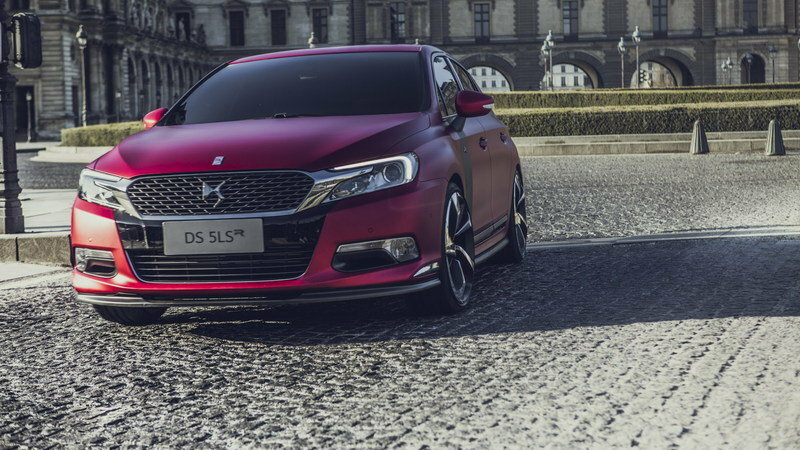 Recently launched in China, DS 5LS is a bold, striking addition to the Chinese market, standing out from the crowd with its distinctive styling, including the sculptural and prestigious ‘DS Wings’ grille, which characterises new DS models. 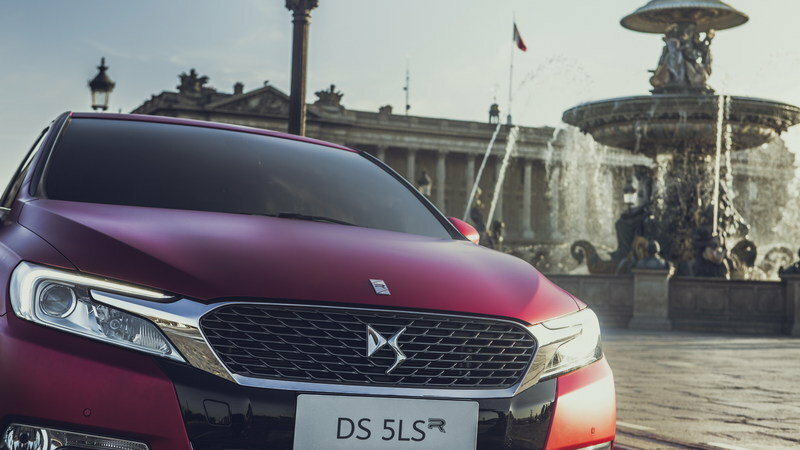 The DS 5LS R concept car emphasises the dynamic character of the production version, highlighting the model’s athletic lines. The unveiling of DS 5LS R follows on from the DS3 Cabrio Racing and DS4 Racing concepts, as Citroën continues to push boundaries in performance, design and innovation. A nod to Citroën’s World Rally Championship pedigree, DS 5LS R boasts a high performance powertrain, underpinned by a 1.6-litre turbo petrol engine that develops 300bhp and torque of 400 Nm. The chassis has been lowered by 15mm, compared to the production version and the concept has wider front tracks and a sequential gearbox, controlled by paddles behind the steering wheel. High-precision development has been applied to the chassis, brakes and suspension, while the focus on performance is visually underscored by the extensive use of real carbon fibre components. 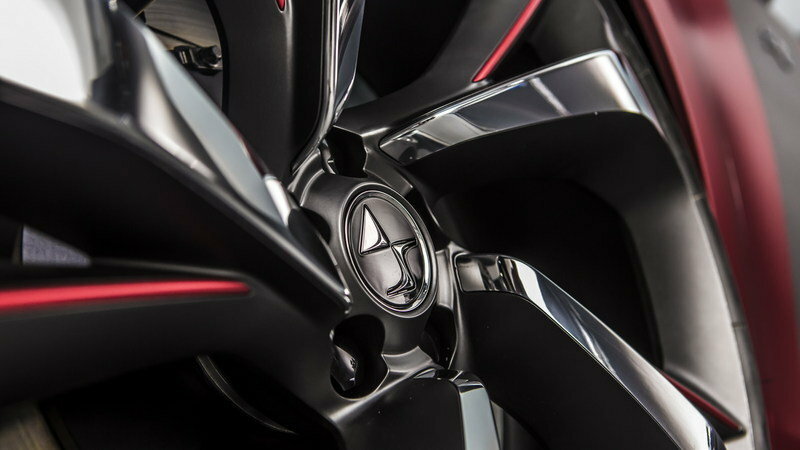 DS 5LS R remains faithful to the DS spirit of innovation and luxury, making a bold first impression. 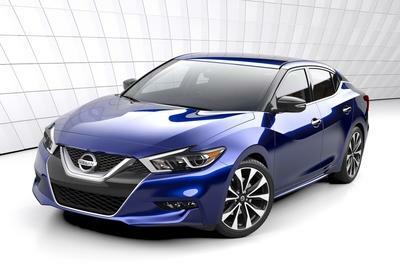 The sports styling is complemented by an anodised Carmine Red paint with a matt metallic finish. The concept confirms its ‘R’ status with wide side stripes in matt carbon grey on the front doors. 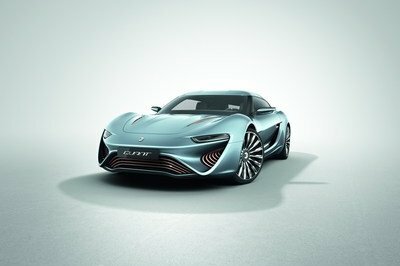 The ‘R’ signature features extensively around the exterior of the concept – on the bonnet, at the rear and on the sides of the car. Further carbon fibre components include the side signature trim, which extends across the top of the side windows to the boot, cutting through the rear quarter panel with a subtly drawn shark fin. The ‘DS Wings’ grille is finished in carbon grey dark chrome and the sporty 20-inch wheels are sculpturally designed and carbon-coloured to match the polished aluminium on the exterior and the touches of Carmine Red. Inside, DS 5LS R is all about luxury, with a wide range of exceptional materials in evidence. 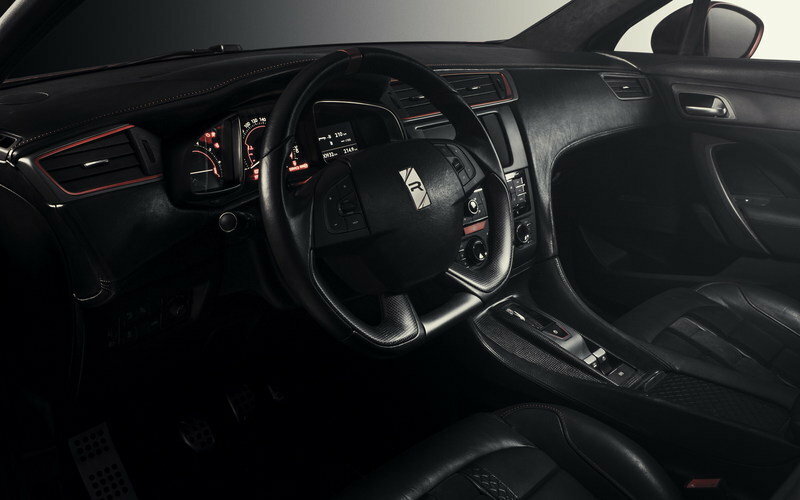 The cabin is fully lined with leather and Alcantara®, including the dashboard and steering wheel. The DS identity is reinforced throughout, with a three-fabric version of the DS ‘watchstrap’ upholstery – aniline full-grain leather, DS-embossed leather and Alcantara®. The seats, dashboard, upper door panels and central armrest are finished with pearl top-stitching in Carmine Red. The performance elements continue inside, with instruments on the central console and the steering wheel featuring Carmine Red detailing and the ‘R’ signature. There are also real carbon fibre inserts on the steering wheel, door panels and door handles, together with Carmine Red touches for the air vents. The Beijing Motor Show takes place at the China International Exhibition Centre from April 20-29.